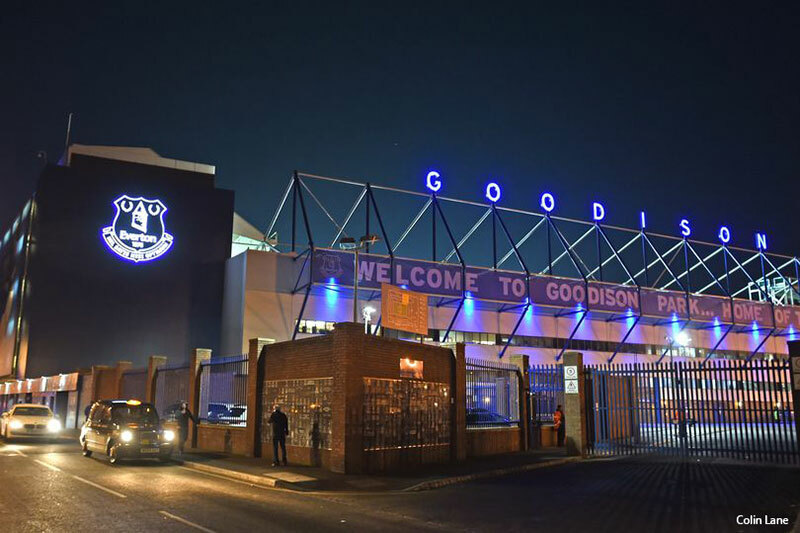 As part of the recent facelift to the outside of Goodison Park Stadium - Home to Everton FC - we were commissioned to manufacture and install the word ‘GOODISON’ high above the Park Stand. The letters are well over 6 feet high and fitted to the highest point of the stand. Each letter was designed to look like it was floating, with no external supports visible, and the structural elements hidden within the letters. This gives a clean, silhouette appearance against the sky. Manufacturing the letters this way was a challenge because, due to the iconic sign’s location and very exposed position, they needed to have a very strong steel core within the 3mm aluminium casings. 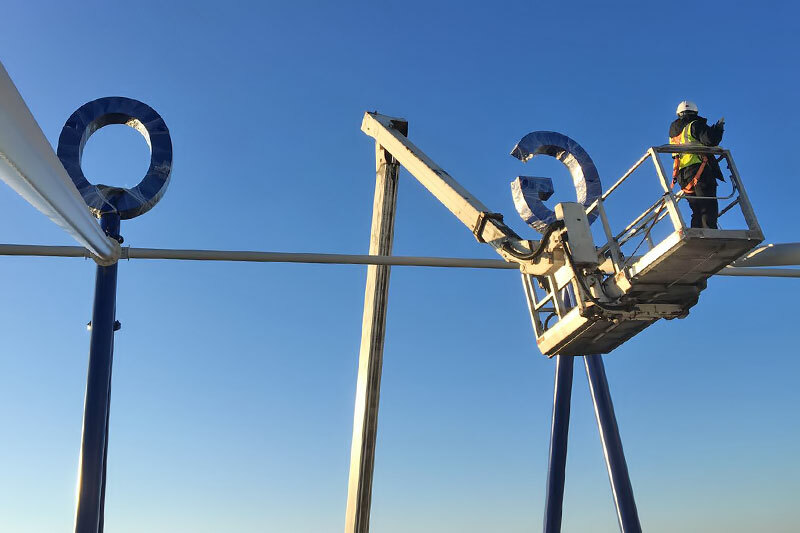 This enabled them to be bolted firmly down to the top of the steel gantry. The company’s structural engineer checked the steel designs and all welding was stress tested by specialists. 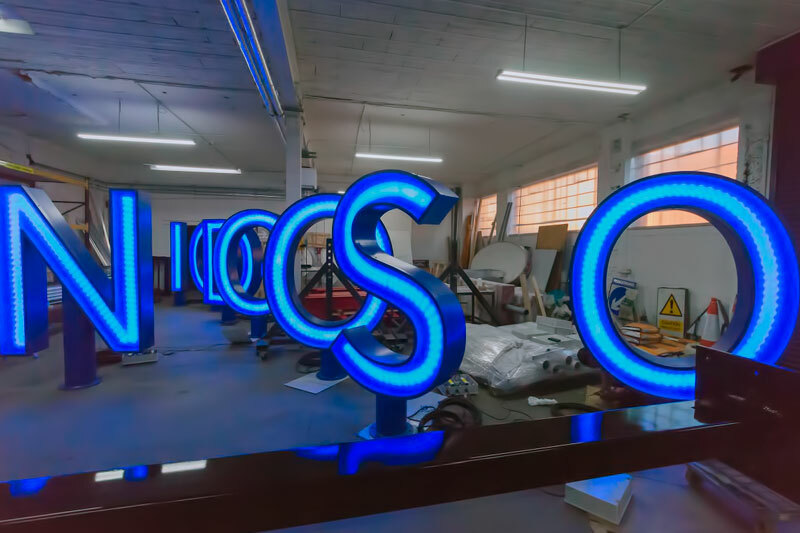 The effective neon-like blue glow from the LED illumination was housed inside the letters, despite the limited space available due to the internal steels. Furthermore, the lighting effect achieved, more than met with the architects instruction. The letters themselves are not easily accessed so, for future servicing in mind, the power supplies (several for each letter) were housed within weatherproof enclosures on the main roof gantry walkway. The finished iconic sign has received favourable reviews from the client, architect and supporters of the club, and we are sure that it will adorn the famous old ground until such time as the club moves to a new stadium. SEE TIMELAPSE VIDEO OF INSTALLATION. 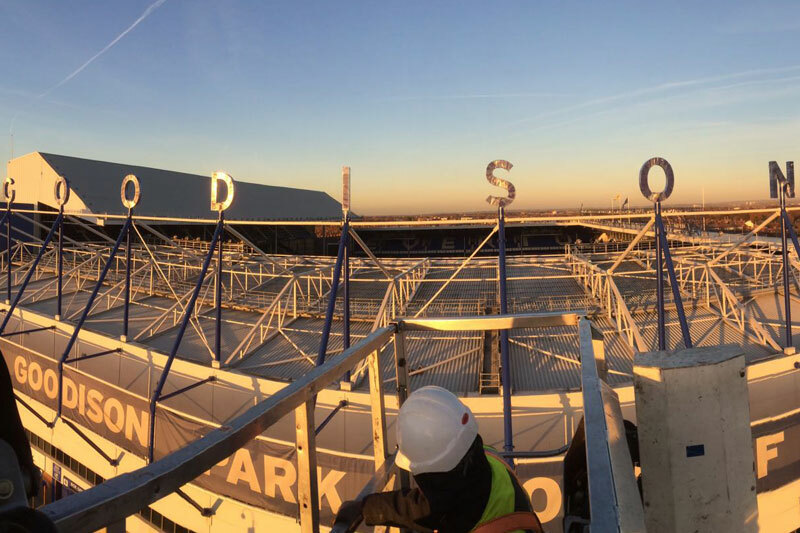 6ft high LED Illuminated, Built up letters manufactured in-house for premiership football club Everton.